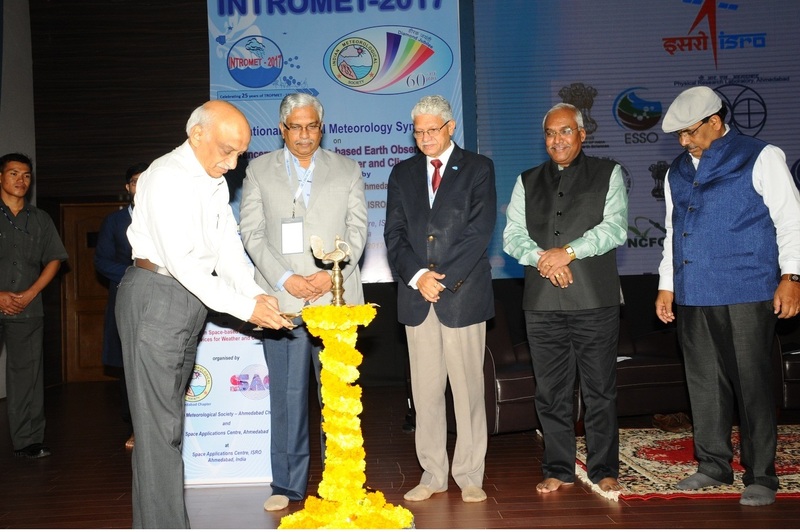 The International Tropical Meteorology Symposium (INTROMET-2017) was organised by the Indian Meteorological Society, Ahmedabad Chapter (IMSA) and Space Applications Centre (SAC), ISRO, Ahmedabad during November 7 - 10, 2017. India has been one of the front-runners in the field of space based earth observation and weather monitoring. INSAT series of satellites are providing data over multitude domains; Kalpana-1 is the first dedicated meteorological satellite, INSAT-3DR along with INSAT-3D is providing 15 minutes temporal coverage and 3D information of the atmosphere through its imager & sounder in multiple channels. The Scatsat-1 carrying Ku-band scatterometer provides ocean surface winds. RISAT-1 based SAR provides crucial information regarding sea-ice displacement. Megha-Tropiques (SAPHIR, ROSA, SCARAB), SARAL (Ka-band Altimeter) and GNSS also provide complementary observations. INTROMET-2017 was organised at SAC Ahmedabad with this background. 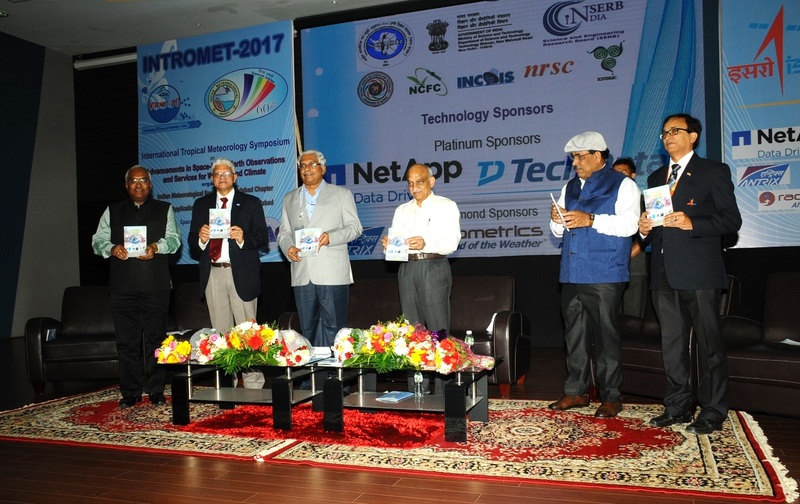 INTROMET-2017 was inaugurated on November 07, 2017 in the august presence of the Chief Guest, Shri A S Kiran Kumar, Chairman, ISRO & Secretary, DOS, GoI and the Guest of Honour, Dr. M Rajeevan, Secretary, MoES, GoI. The inaugural function was attended by many of the distinguished invitees from IMD, ICRS, IITM and IISc etc.,. 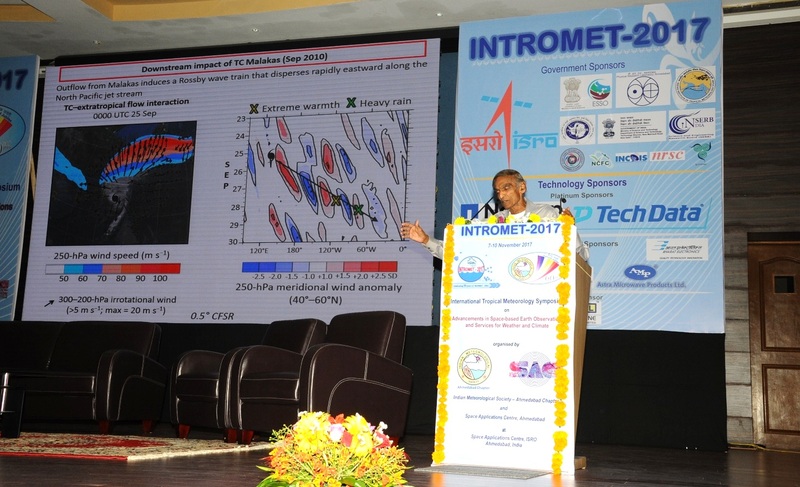 INTROMET-2017 got its international flavor with the participation of about 25 foreign delegates from all over the world including eminent meteorologists from NASA. More than 500 National delegates attended the symposium, which included practicing meteorologists, academia, researchers, members of the industry and students from across the country. Shri A S Kiran Kumar, Chairman, ISRO expressed his optimism for the deliberations during the four days to bring out the specific observational needs of the meteorological community across the globe which can be translated to the design and development of meaningful satellite payloads for critical applications. The theme of the symposium was “Advances in Space-based Earth Observations and Services for Weather and Climate”. The symposium comprised of four plenary sessions with a total of 12 talks by distinguished speakers. 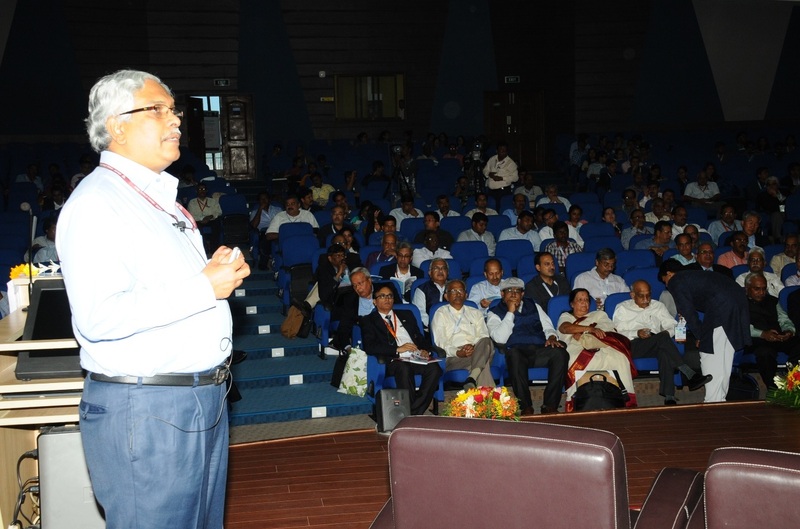 "An overview of Indian Earth Science Program" by Dr. M Rajeevan, "Monsoon teleconnection with Arctic Ice Melt" by Emeritus Prof. T N Krishnamurti, Program Scientist, NASA-HQ and "Shri D R Sikka Memorial Lecture" by Prof. Sulochna Gadgil, Emeritus Prof. IISc were the attractions of the symposium. A special lecture on “The NASA Airborne Convective Processes Experiment (CPEX)” was also delivered by Dr. Ramesh R Kakar, Program Scientist, NASA-HQ. The presentations during the symposium were organised in several parallel technical sessions under the themes - Advances in monsoon studies, Weather forecasting, Hydrometeorology, Air-sea interactions, Cloud and precipitation, Atmospheric process studies, Meteorological data archival and dissemination, Extreme events monitoring and forecasting, Tropical cyclones, Climate change, Emerging trends in retrieval of geophysical parameters, Air quality, Agro-meteorology, Ocean studies, Aerosol-cloud interaction and Special sessions on SCATSAT-1 and INSAT-3D/3DR. Young researchers from Jammu and Kashmir to Nagaland participated enthusiastically. A dedicated session was conducted for undergraduate students specially selected by IMS local chapters and sponsored by IMS to attend and present in the symposium. The concluding session of the symposium was chaired by Director, SAC in a panel discussion involving eminent delegates on the theme of extreme events-observations, modelling and dissemination. There was a unanimous agreement on the need to spruce up the communication system for disaster information dissemination to the last mile in a user-friendly language and dialects for better actionable strategies on the ground. The symposium provided an opportunity for weather and climate scientists to present their research, exchange ideas, explore prospects for collaboration and discussion on the current and futuristic aspects of space based weather and climate studies. Awards were distributed for best papers in students and young scientist categories. Students nominated by IMS local chapters were also awarded.